Most people enjoy a bowl or a cup of chicken noodle soup. During a cold winter day the body is warmed and comforted by the smell, the taste, and the nutrition of hot soup. 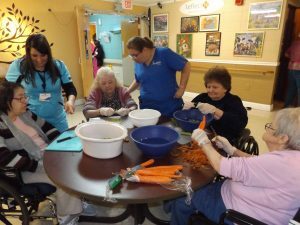 This week our elders continued their January theme by making chicken noodle soup. 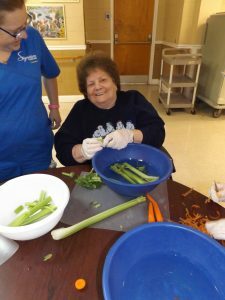 Once they prepared the vegetables, the kitchen staff finished putting everything together and serving the hot soup for lunch the following day. 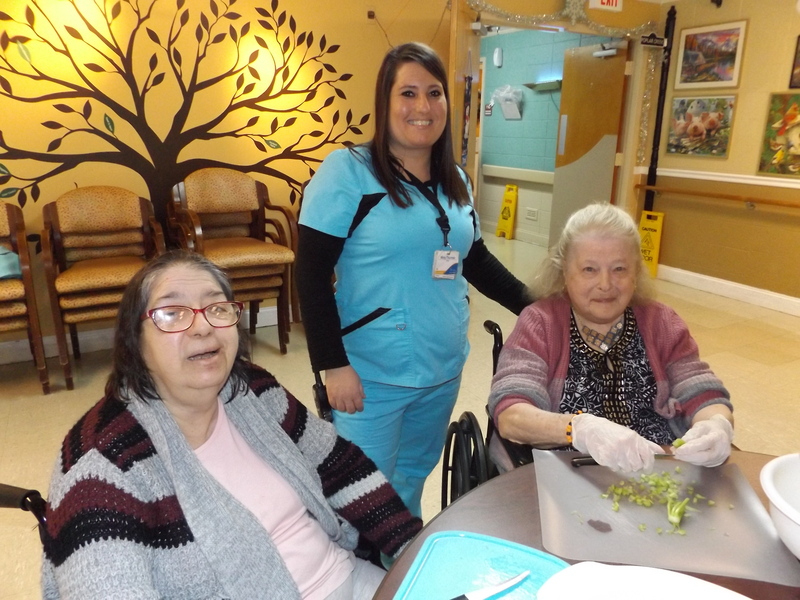 The food preparation activity was followed by reading short stories from the book “Chicken Soup for the Grandparent’s Soul.” The stories were nostalgic, humorous and heart-warming – good for the soul.